Brian Dawkins signed a five-year, $17 million contract with the Denver Broncos in February of 2009. Roughly two months later the eight-time Pro Bowl safety purchased a home in Parker, Colorado for $1.3 million. Built in 2007 on 1.6 acres, the four-bed, five-bath, 5540 square foot home has wide-plank dark cherry wood floors on the main floor, four fireplaces, four-car garage, and offers panoramic views of Denver and surrounding mountains. Brian Dawkins' house in Parker, Colorado. Click on the link below to see pictures of the home as it appeared after construction. 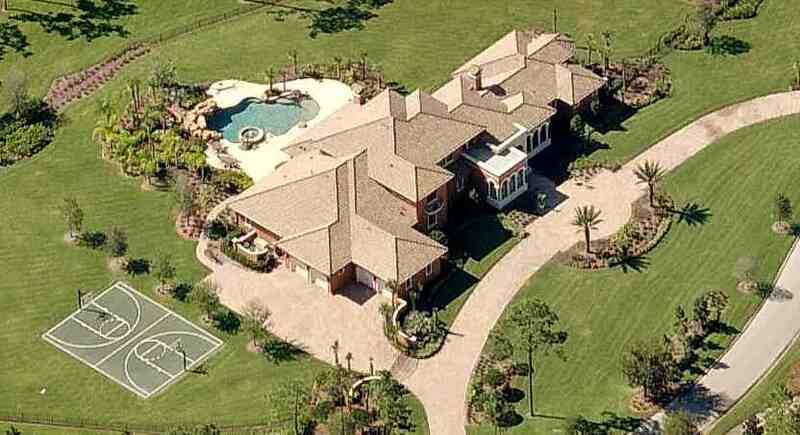 More recently, Brian Dawkins sold his Orlando, Florida mansion to Green Bay Packers star cornerback Charles Woodson for $3,675,000 in May 2011. The 8,795 square foot home has five bedrooms, six full bathrooms and two half, and was originally listed for $4.6 million. Dawkins purchased the land in 2003 then had the home constructed on the property in 2004. Dawkins had a swimming pool installed in 2006 then a full court basketball court a year later.